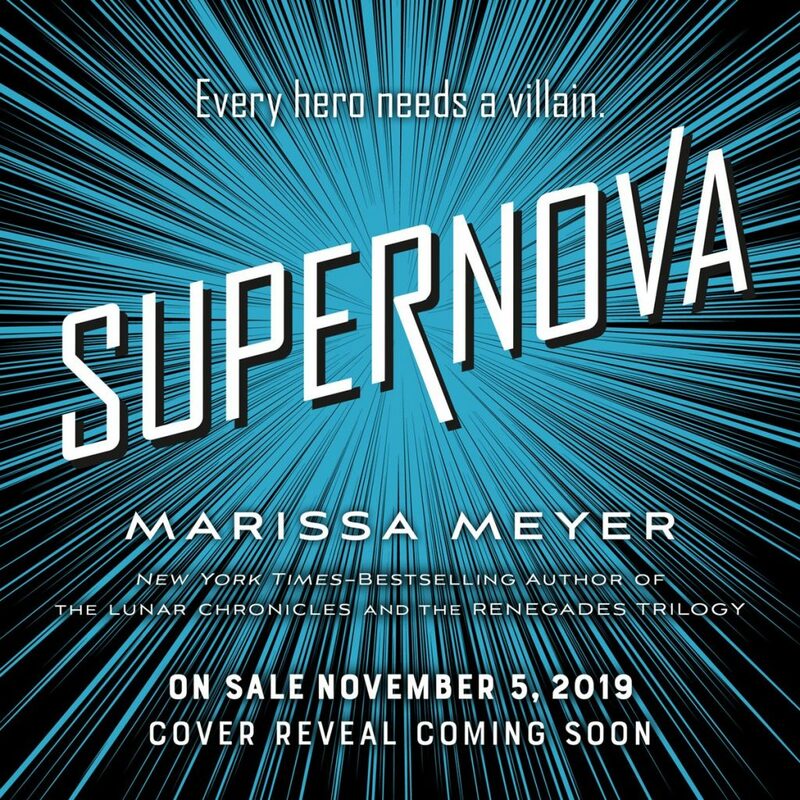 Shortly before the release of the second book in the Renegades series, Archenemies, Marissa Meyer gave readers a big surprise: With some much story to tell, her planned duology would become a trilogy. Now we’re finally getting the details on book three! The tagline “Every hero needs a villain” once again plays on the relationship between Nova and Adrian, both of whom are struggling with their roles as villain and hero, respectively. We’ll have to wait a little bit longer to see the official cover, but if the prior two covers are any indication, it’ll be red, blue, and intense. Supernova (Renegades #3) hits shelves on November 5, 2019. You can preorder now via Amazon!